In the summer of 1849, a magician going by the name of Rhia Rhama Rhoos gave a performance in Bonchurch, a coastal resort on the Isle of Wight off the southern coast of England. Billed as “The Unparalleled Necromancer,” and claiming to have been “educated cabalistically in the Orange Groves of Salamanca,” Rhoos’ conjuring act featured several bizarre tricks, including making playing cards magically burst into flames, transporting a woman’s watch from inside a wooden box and into the middle of a loaf of bread, and even cooking a steaming hot plum pudding in a gentleman’s top hat. With tricks like that, the act would undoubtedly have been a memorable show—but what made it all the more impressive was that the eccentric conjuror “Rhia Rhama Rhoos” was in fact the great English novelist Charles Dickens. Not long after the publication of The Pickwick Papers in 1837, Dickens did a reading of Nicholas Nickleby that was on the same bill as Ramo Samee, a famous juggler and magician. A few years later, he went to see a performance by a renowned Austrian magician named Ludwig Döbler. At the time, Döbler was at the height of his fame and had performed all across Europe for the likes of the Austrian Emperor Francis I and, while in London, Queen Victoria. He had spent much of his professional life designing and manufacturing his own unique stage props—including a magical pistol that was able to light 100 candles all at once, and a bottomless wine bottle, from which any drink imaginable could be poured on request—all of which helped him put on a truly remarkable show. Dickens and Forster above all exerted themselves till the perspiration was pouring down and they seemed drunk with their efforts! Only think of that excellent Dickens playing the conjuror for one whole hour—the best conjuror I ever saw—(and I have paid money to see several)—and Forster acting as his servant! This part of the entertainment concluded with a plum pudding made out of raw flour, raw eggs—all the raw usual ingredients—boiled in a gentleman’s hat—and tumbled out reeking—all in one minute before the eyes of the astonished children, and astonished grown people! That trick—and his other of changing ladies’ pocket handkerchiefs into comfits—and a box full of bran into a box full of—a live-guinea-pig! would enable him to make a handsome subsistence lest the book-seller trade go as it please! Happily, Dickens’ “book-seller trade” didn’t “go as it pleased,” and instead went from strength to strength. He followed up the early success of The Pickwick Papers with the likes of Oliver Twist (1839), The Old Curiosity Shop (1841), A Christmas Carol (1843) and Martin Chuzzlewit (1844), until his ongoing accomplishments as an author forced him to shelve his interest in magic—but not before one final performance. By now, Dickens had created an entire stage persona for his magic act, “The Unparalleled Necromancer, Rhia Rhama Rhoos” (a name he based on a famous Indian magician and juggler called Khia Khan Khruse, a member of Ramo Samee’s troupe), and it was in this guise that he staged his last conjuring performance in Bonchurch in 1849. The Dickens family—Charles, his wife Kate, and eight of their eventual 10 children—arrived on the Isle of Wight in mid-July and stayed with Charles’ friend, the Reverend James White, until early October. Sadly, the Dickens family’s trip to the Isle of Wight was marred by tragedy when John Leech, a long-time friend of Dickens who had accompanied them on their holiday, got into trouble while swimming in the sea and was crushed against the rocks by a wave. He suffered a terrible head injury that left him dazed and in considerable pain for several days, with Dickens later writing that, “it was quite impossible to get him to maintain any one position for five minutes. He was like a ship in distress in a sea of bedclothes.” Amazingly, when all the best medical treatments known at the time failed, Dickens used another of his conjuring hobbies to help nurse Leech back to health when he hypnotized him into a deep recuperative sleep. When Leech eventually woke up, he was well on the road to a total recovery. With the vacation over, Dickens was immediately back to work: David Copperfield was completed by November 1850, and was quickly followed by the first installment of Bleak House less than 18 months later. 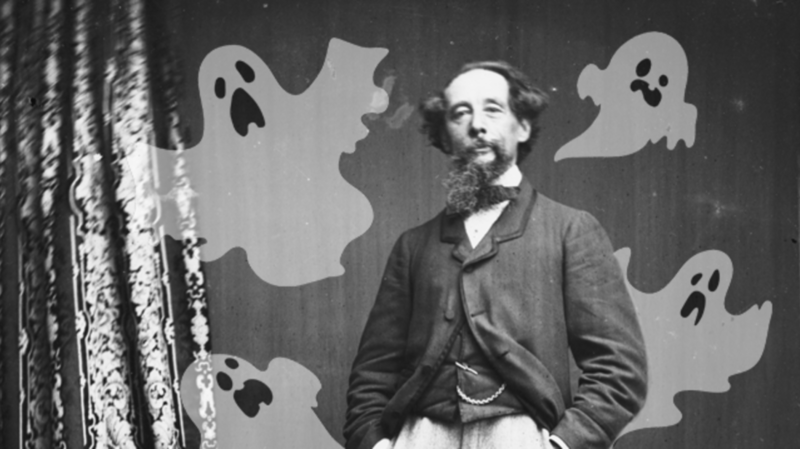 Though the pressures of writing apparently left him little time to continue practicing his own conjuring act, Dickens nevertheless maintained an interest in magic, and while in France in 1854 made a point of seeing a renowned French mind-reader called Alfred de Caston. He was, Dickens later wrote, “a perfectly original genius,” who “puts any sort of knowledge of legerdemain, such as I supposed that I possessed, at utter defiance.” Dickens himself, however, never performed again.